Feel alive and well while kayaking at the heart of Irish heritage, culture, and nature among a natural tapestry of beautiful aquatic forms on our Western Coastline. Local tradition has it that Clew Bay holds within its idyllic hub a ‘drumlin’ for all the days of the year; these are Island features of glacial erosion and deposit that followed the cataclysm of the ice age – and Sea Kayaking is the best way of exploring them. Through The Adventure Islands’ sea kayaking experience, you will have a mesmerizing view of the unique coastal view of Cruach Phádraig, once the Lenten pasture to our fifth century patron saint and shepherd (who the mountain is since named after), or paddle around the highly fought after territories of a fierce sixteenth century sea queen pirate Gráinne Mhaol. Or perhaps you’d rather step into the artistic mind of Beatle singer/songwriter/guitarist John Lennon, to explore just what it was about this part of the world that inspired the sixties icon to not only visit here, but also to purchase private dwellings – the charming island of Dorinish (a.k.a Lennon’s or Beatles Island). Re-visit times past while escaping the hustle and bustle of urban life, exchanging pollutants for fresh Atlantic sea air, noise for quietude and a concrete jungle for spectacular flora and fauna. 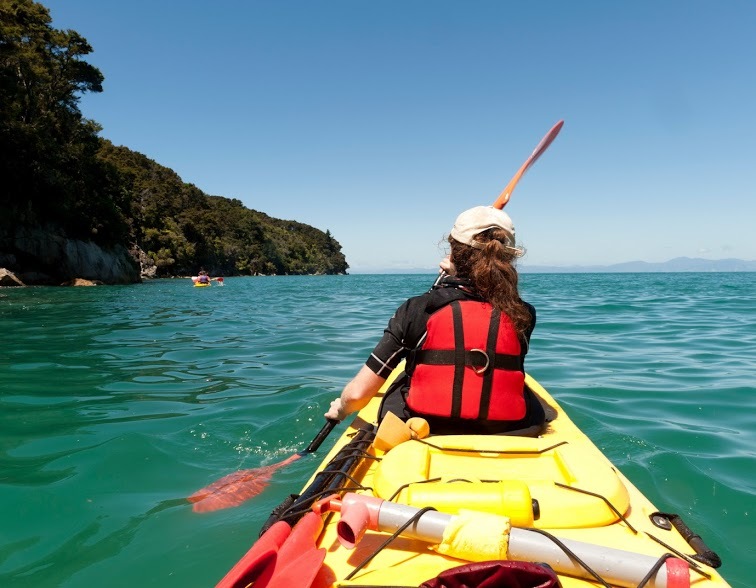 Sea kayaking also offers nature lovers a perfect way to quietly bird watch or scope out general marine life such as dolphins and seals. We think that if this magical part of the world has scenery powerful enough to arrest the hearts and minds of great men and women like Patrick, John, and Grace– then it must surely impress the rest of us too!